I had to use a face wipe after using this as it simply didn't remove all my eye makeup. Worked really well, easy to use and bottle looks nice. 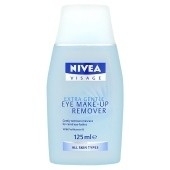 I really liked this product, removed eye make up really well including stubborn mascara. Skin was left soft and moisturised. Easy to use, price is good and bottle looks nice.